Since 1737 Richmonders have gathered around 17th and Main for conversation and commerce. Surviving as one of the countries oldest open air markets, the 17th St Farmers Market opened to a revived spirit of community on Nov. 30, 2018. The market, which had last been renovated in the 1980’s, welcomed citizens back to a beautifully lit plaza. Lined with bustling restaurants and businesses, the new market is complete with a recently installed ice rink that will be open to the public until Jan. 21st. 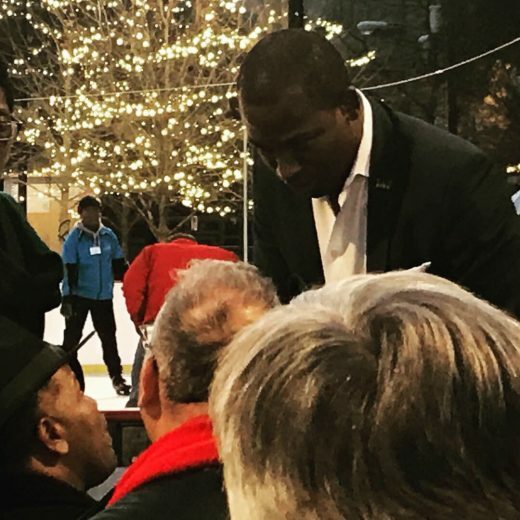 Mayor Levar Stoney was present to cut the ceremonial ribbon and greet the skaters brave enough to venture out on the fresh ice. Santa also made a special early visit as he prepared for the annual Richmond Parade the following morning. While catching up with Maurice Jackson, Enrichmond’s Farmers Market Manager, he spoke about the excitement building around the grand opening and the upcoming season of events. It has been a long time coming, two years, of really hard work. 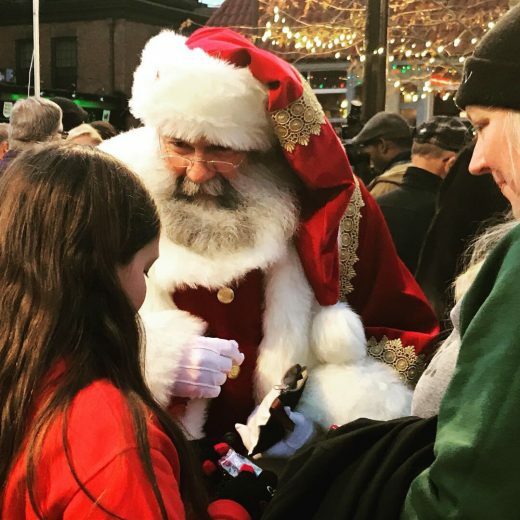 In addition to this weekend we have a Holiday Farm and Craft Market that will be on Thursday, December 6th and 13th from 4 to 7 PM, as well as Christmas Tree sales and Ice skating 7 days a week. 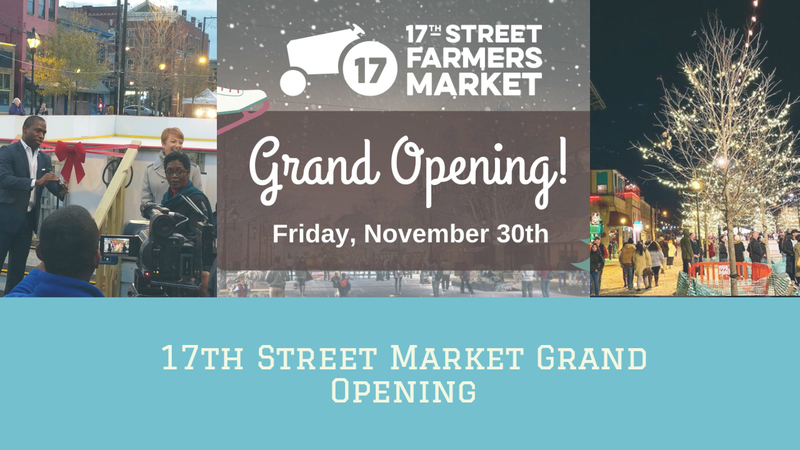 Jackson also commented on the spring line up, “Next May we will be kicking off our full season.” Be sure to follow The 17th St Market and Church Hill People’s News for updates. 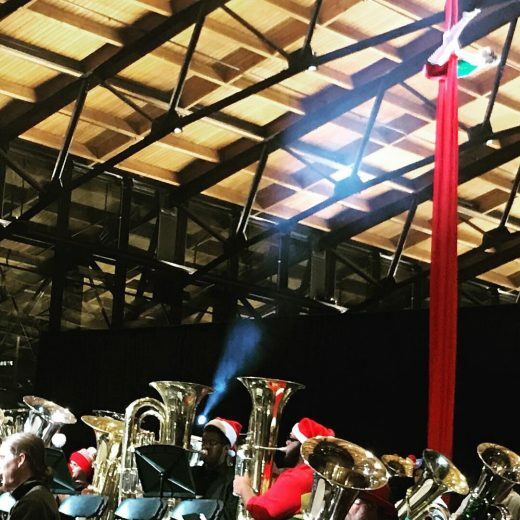 Celebrants were welcomed to make their way into Main Street Station where The Grand Illumination brought bag-pipes, aerial artists, and carols performed by full tuba orchestra. Mayor Stoney spoke to the joyful crowd and invited citizens back for the remaining season of festivities. An Open House was held downstairs on Saturday at Main Street Station, as well as continued sales from local vendors upstairs. For more information on the Farmers Market and ongoing events please visit- their website at enrichmond.org or 17th St Farmers Market on all social media. Will we have a Saturday market comparable to South of the James? If so, when?